In a large bowl, mash sweet potatoes. Add the eggs, sugar, flour, vanilla and salt; beat until smooth. Transfer to a greased 13x9-in. baking dish. 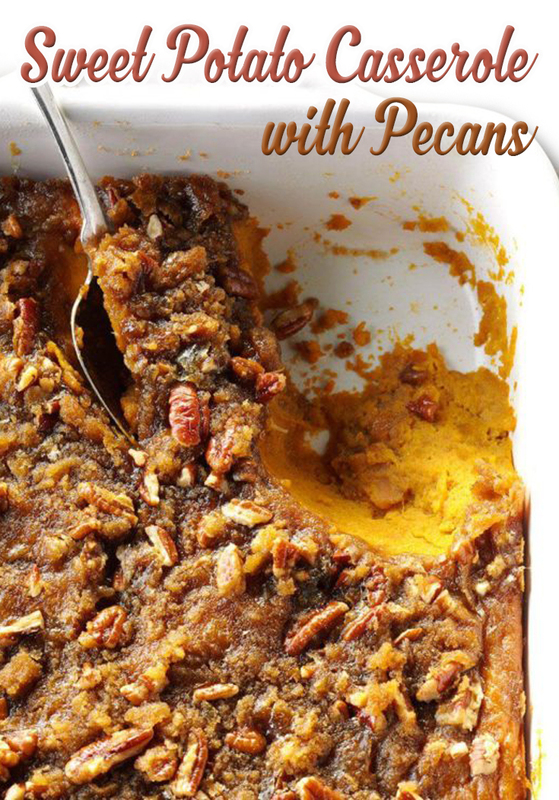 In a small bowl, combine the brown sugar, flour and pecans; cut in butter until crumbly. Sprinkle over sweet potato mixture. Bake, uncovered, at 325° for 60-70 minutes or until a thermometer reads 160°. Refrigerate leftovers.